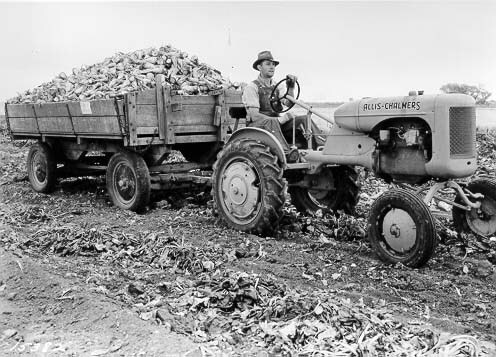 Andrew Mair hauled beets in this Fort Collins History Connection photo (1939). Andy Mair was later appointed Federal Farm Commodity Program Director and he moved to Washington, D. C. in 1957. From 1961-64 he served at the American Embassy in Rome and met President John Kennedy and Jacquline as well as Pope Paul VI. He was awarded many honors for his work. According to a National Geographic article on sugar, the average person consumed 4 pounds of sugar a year in 1700, 18 pounds by 1800 and a whopping 100 pounds of sugar annually by 1900. In other words, by the 20th century we had begun our national sugar fixation in earnest and farmers were taking note. In 1901, Loveland built a sugar production plant and though it bumbled along its first year, the entire surrounding region watched with keen interest and began to talk about building factories in Greeley (1902) and Fort Collins (1903). 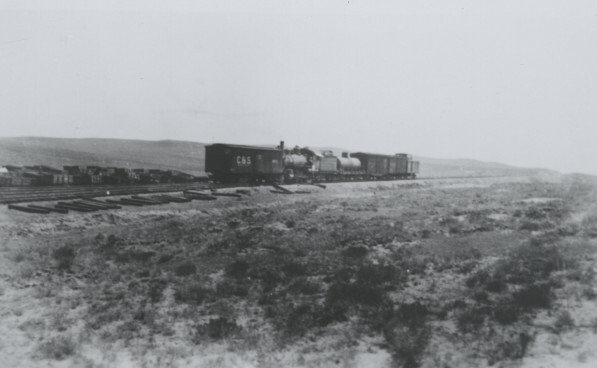 This talk of opening sugar factories lead to a sudden urgency to extend railroad lines in order to bring in the quantities of sugar beets needed for the factories. And it was with the extension of the Fort Collins Colorado & Southern line north into Boxelder Valley, where beets could be grown plentifully, that the town of Wellington was born. Also in that list of news items was one that stated, “Everybody admires the new Masonic temple block,” referring to the building that still stands at the corner of Oak and Howes. This gives you a sense of the timing of the formation of Wellington. Fort Collins had already been around for over a third of a century and was building grand buildings a distance from the center of town before Wellington came to be. 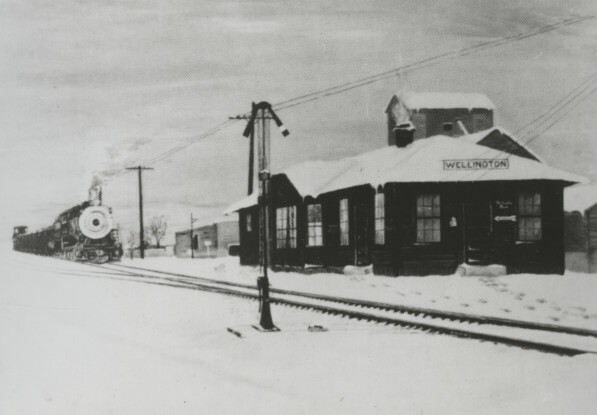 The Wellington train depot was built in 1916 and demolished around 1959. This photo is also from Ahlbrandt’s History of Wellington. By December 17, 1902, the Fort Collins Weekly Courier announced that the town of Wellington had been surveyed and platted and lots were in high demand. In fact, land between Fort Collins and Wellington shot up in price as people wanted in on the economic boom that the sugar factory would bring. Unfortunately, those looking for available land were hard pressed as those who already owned land in the area knew enough to hold on to their property. The same article from the Weekly Courier praised John Letford Smith, who had homesteaded 160 acres just east of where Wellington was to be. Smith had struggled without irrigation and with few neighbors for twenty years. The article goes on to praise him for all the grains and cattle he had been able to raise there over the years, a testimony to the bounty that can be wrought from the land for those who bend themselves steadfastly to the necessary work. Many of Wellington’s historic buildings have either been torn down or altered to an extent that their historic facade is hidden. The Cusack house, shown above, is an example of a Victorian style house that remains intact. The Wellington Hotel, built in 1903, still stands at the corner of Cleveland and 2nd. This 3,360 square foot property is currently for sale and is listed at $385,000. 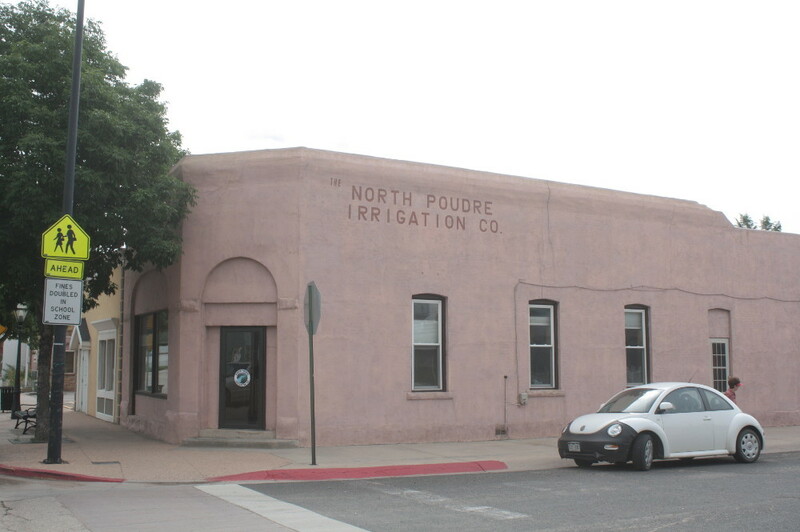 The old bank building is now the North Poudre Irrigation Company. The arch over the corner entrance is one of the few give-a-ways that this is the same building. Both the roofline and the facade materials have been altered. There is only one building listed on the National Register of Historic Places in Wellington. 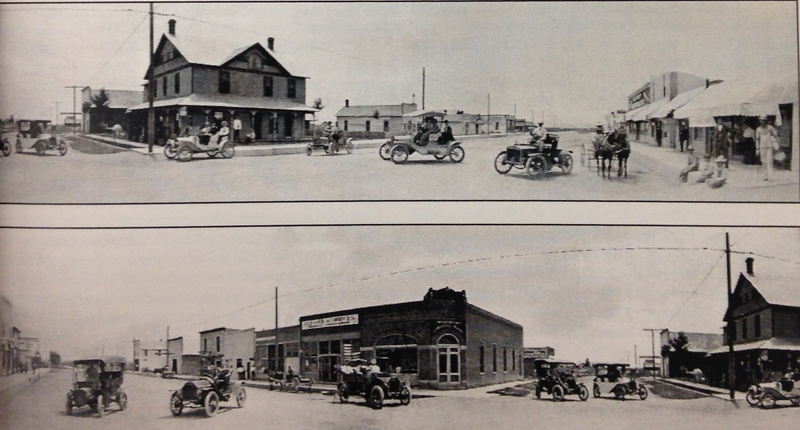 The 1st National Bank did so well thanks to beet farming, lamb raising, and a short oil boom, that it moved across the street (from the location shown above) in 1919. It’s this second building that was landmarked in 2000. Wellington has other historic buildings that could be landmarked, but, as in Fort Collins, it is up to the owners of the properties to pursue landmark status. Unlike Fort Collins, however, Wellington has no local designation that can be pursued, in part because the city has no historical society or Landmark Preservation Commission. A local designation is sometimes easier to secure and it still offers many of the same financial benefits as a state or national designation. Wellington has recently experienced a growth boom. As housing becomes increasingly expensive in Fort Collins, people have been moving to the more affordable housing available on the outskirts of Wellington. This boom could prove to be a great boon for the city. But it could also put added pressure upon developers to tear down historic buildings and replace them with more contemporary structures. 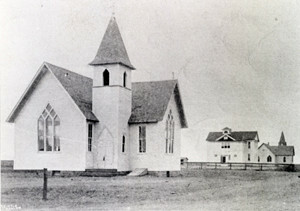 Wellington’s history is one of close community among neighbors. As the city grows, it will be easy for that community spirit to dissipate as the city’s history, culture, and customs are eclipsed by the attitudes and opinions of newcomers who may find that their community is in Fort Collins, even though their bedroom is in Wellington. As I read through history books and old newspapers from Fort Collins, one refrain I see is that people became more civic minded as they learned about the history of Fort Collins through the centennial celebrations, regular newspaper articles on the history of the city, and the renovation of Old Town. There’s something about knowing the history of a place, even when it’s not our own personal history, that helps us to attach more closely to a community. Wellington is at a tipping point where it can move into being primarily a bedroom community for those who work in Fort Collins or it can learn from the example of Old Town, Fort Collins, where a historic district, a development authority, and a little tender loving care has taken an ailing downtown and turned it into a destination point – a focal point for the city’s history, culture, and community. I had hoped to write an article today on the mysterious building on the southwest corner of the Old Town post office block. There’s a curious sign on the building that says, “Evacuation Assembly Area”. I secretly hoped that that meant there was a secret bomb shelter underneath and this was the entrance. But upon checking with city planners, I’ve come to find that this building was only ever used as a place to pick up stamps. Which isn’t very exciting. If there’s ever an emergency at the federal building and workers need to evacuate, this is where they’re supposed to gather. Well, now we know. Next week will mark 6 months at which I’ve been blogging at Forgotten Fort Collins. I think I’m going to take this opportunity to wax poetic about the blog, my involvement in it, and where I’d like to see it head in the future. The National Geographic article about sugar was written by Rich Cohen and was entitled, “Sugar Love (A Not so Sweet Story).” Published 1 Aug. 2013. Accessed 25 Aug. 2014. According to a USDA report, Profiling Food Consumption in America, we’ve eclipsed the 1900 numbers. The average American now consumes 152.4 pounds of added sweeteners yearly. 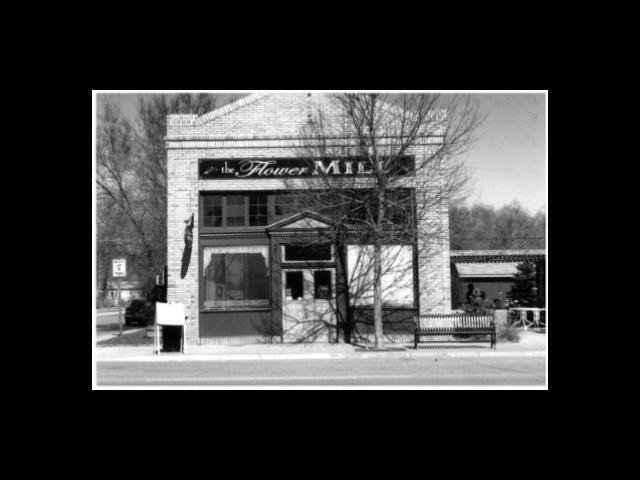 Information on the Loveland and Greeley sugar processing factories came from a Longmont blog. The photo of Andrew Mair came from the Fort Collins History Connection. Mair grew up in Wellington. The additional info about his time in D.C. and Rome was from Arlene Ahlbrandt’s book, 101 Memorable Men of Northern Colorado. You can check out a copy of the book at the Poudre River Public Library. 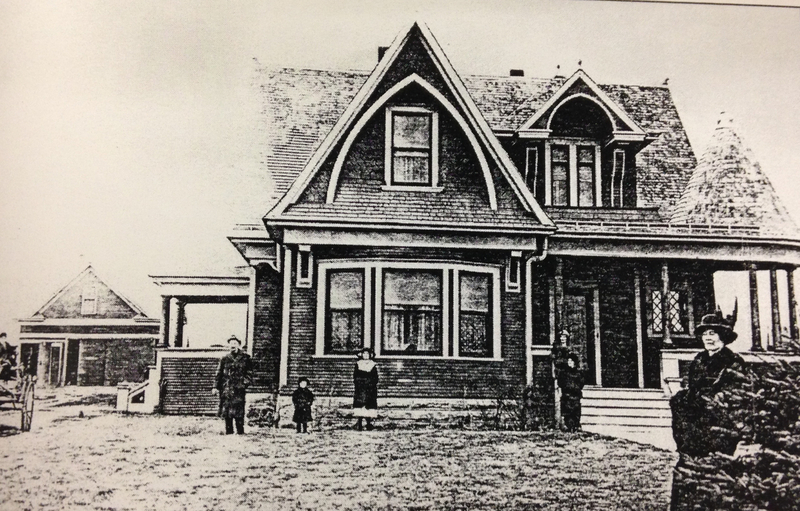 Information on John Cusack, owner of the large Victorian on Cleveland Avenue, came from the History of Larimer County. Many of the photos included here were from the History of Wellington, Colorado and the Boxelder Valley, 1864-1996, by Arlene Briggs Ahlbrandt. The library has a copy of the book, but you have to read through it in the library as it can’t be checked out. I believe Ahlbrandt collected the photos from community members throughout Wellington. So it’s with great appreciation to all of those families that I include them here. 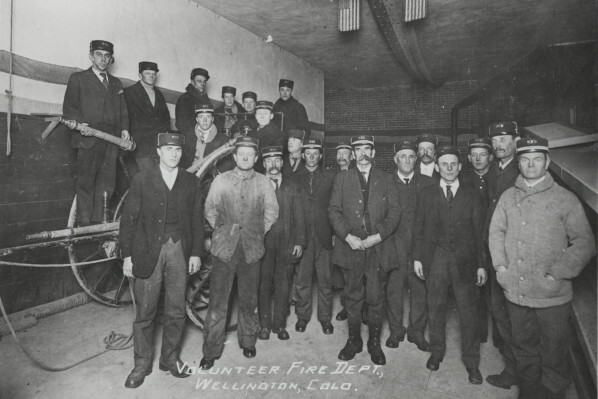 There’s a timeline of Wellington and surrounding areas from the North 40 News – A century of highlights. It’s from here that I got my info on when Hotel Wellington was built. Thanks to Bill Schneider for the tip that the 1st National Bank building had been landmarked. I have heard stories of a horse track called Wellington Downs. Can anyone tell me anything about it? I have heard it was just southeast of town. I haven’t heard of Wellington Downs. But your question reminds me of this Lost Fort Collins post. http://lostfortcollins.com/2009/08/05/cloverleaf-dogtrack Perhaps this is what you’re thinking of? It was also southeast of town. Perhaps the name changed at some point. I suppose it is a possibility, but I have always heard it was a horse track. Also, I guess I should have been specific about the town being Wellington. Talk about mysterious!